Bureau of Fire Protection-Special Reaction Unit (BFR-SRU) personnel rescued a mother carrying her newborn baby while their apartment was ablaze.The breath taking rescue happened at Francesca Tower in Quezon City.The firemen set up a narrow steel plank so that the mother carrying her 1 week old baby could cross to another building some 12 meters away and 8 floors high. The firemen also used a makeshift harness to help the victims escape to their safety.The mom and the baby was brought immediately to the ambulance standing by. 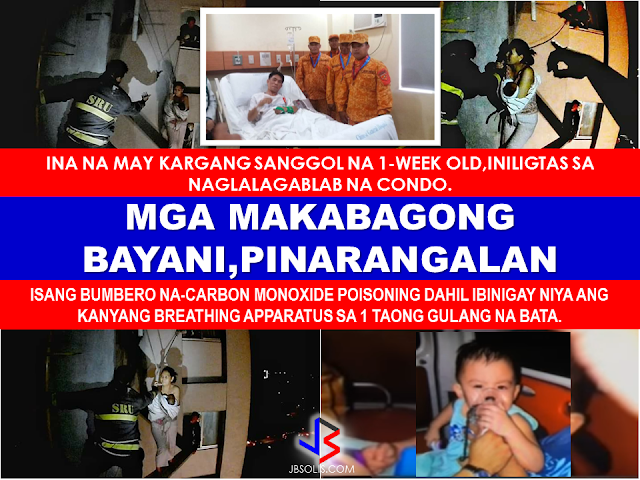 Another child,Liam, and his family has been rescued and brought to the ambulance as well after BFP-SRU personnel FO2 Florencio Asonza rescued him.In order for the one year-old boy to be brought to safety,FO2 Asonza gave his breathing apparatus to the kid risking his own life. Asonza suffered carbon monoxide poisoning due to the thick fumes inhalation while conducting the rescue.A doctor at the Chinese General Hospital, where Asonza is treated, said that his heart was injured as if he had a heart attack. The BFP Firemen's heroism led to the awarding of medals by the Department of Interior and Local Government headed by Secretary Ismael Sueno. 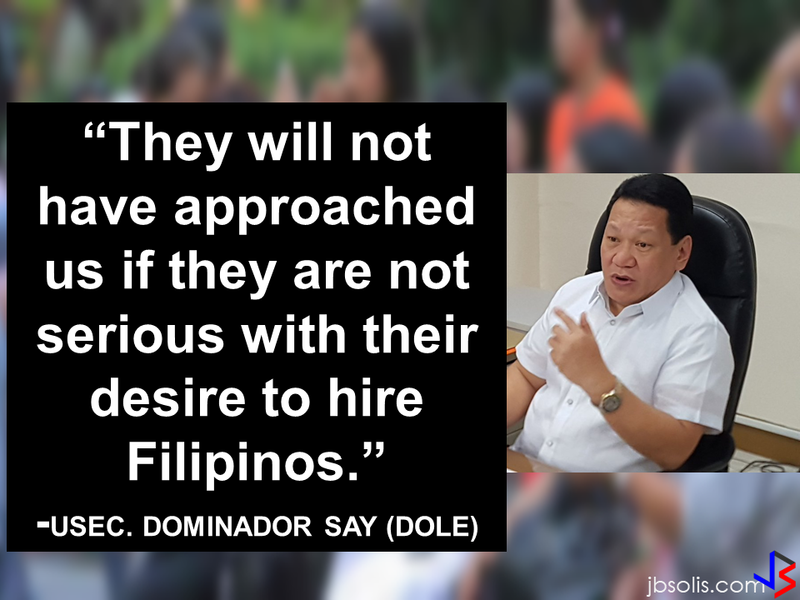 “…I was elated na yung fireman natin,he risk his own life to save six people,so he deserved to be awarded,” Sec. Sueno said.